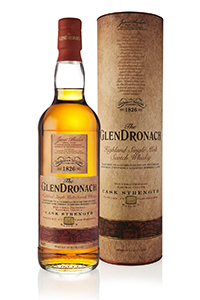 November 12, 2013 – GlenDronach is following up on the success of two cask-strength releases over the past 12 months with a third release. As with the previous two editions, this one used a combination of Oloroso and Pedro Ximenez sherry casks in its maturation. No details on market availability or pricing were announced.